Why are stories such effective tools for influencing people? There are four primary reasons a well-crafted story is powerful. An effective story not only instructs; it also entertains. It’s the entertainment part of the equation that motivates people to pay attention, to remember, and to take action … in other words, it makes the story stick. For example, the US military is always recruiting and advertising. But after the 1986 movie Top Gun, Navy aviator recruitment skyrocketed by as much as 500%. Stories make an emotional connection with the listener. Let’s say I’m a salesman, promoting the GU Energy gels that marathon runners use. I could talk to a prospect all about my product’s features, benefits, and specs: the type of energy, the electrolytes, how soon you feel the energy, how long it lasts, and that if you buy them by the box each little packet costs only a dollar or so. Or I could tell you the true story of running a half-marathon with my dad in Miami earlier this month. Last year, even though we were in good shape, due to the intense heat of Miami, we pretty much died about half-way through the race. We were drained of energy, and we slowed to a walk for much of those last several miles. We tried to fix the problem by drinking lots of water and Gatorade whenever we passed one of the race’s drink stations. But it was too little, too late, and it also wasted time adding restroom stops. For all these reasons, our finish time was really poor. This year, I followed a racing nutrition strategy that included GU Energy gel. About 45 minutes before the race, I ate one little packet of GU Energy, and then I ate a second packet 15 minutes before the race. During the race, I consumed one packet every 30 minutes. Dad, on the other hand, used a competing product that provided fewer calories and no electrolytes. In this year’s race, both Dad and I did a lot better than last year. We never had to walk, and we finished the race 45 minutes faster than last year – a 27% improvement! However, I was roaring with energy all the way to the end, and if I had been willing to leave Dad behind, I could have run much faster. But we ran the race together so we could enjoy each other’s company. I had so much energy that all along the race, I was thanking the spectators and giving them high fives. In contrast, Dad’s pace slowed over the last seven miles. About three miles before end, Dad told me he was going to switch to GU Energy for his next race. By sharing this story, I help you realize that I’m not faking a belief in my solution or trying to manipulate you into buying it; I have a genuine conviction. I’m not just connecting to your logical mind; I’m connecting to your emotional heart. Effective stories let people reach the conclusion themselves. Their mind runs along ahead while the story is being told. Did you find yourself guessing the end of my marathon story before I finished it? What’s more, did you start to think about how you can apply the technique of storytelling to your own situation? Listeners don’t realize it, but they actually take the story’s point and make it their own idea. And we all naturally think . ” href=”http://www.engagingleader.com/help-your-audience-come-up-with-their-own-better-idea/”>our own ideas are best. A story is the easiest way to take an abstract concept and make it practical. My Miami story isn’t just about GU Energy; it’s about racing nutrition strategy. That’s an abstract concept that I heard when I first started training for marathons. I didn’t fully understand it, and I certainly didn’t think it was important. It took me two years to finally understand that with the right racing nutrition, I could have plenty of energy through the end of the race, without drinking too much water and having to waste time with restroom stops. My GU Gel story transforms the abstract into the practical, so listeners can understand and take action much faster. In my next blog post, I’ll share five guidelines for effective storytelling. 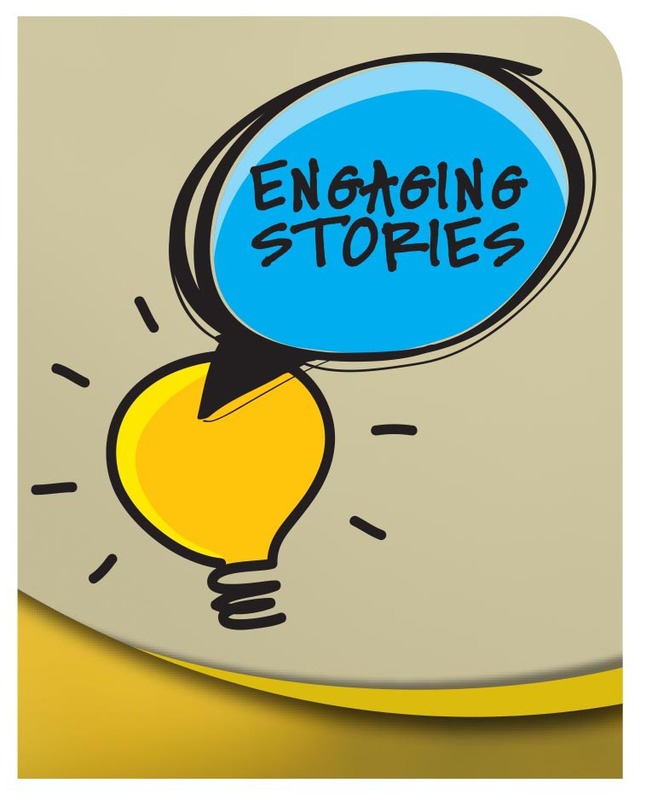 Engaging Stories™ presentation – Using Storytelling to Influence Employees: Nothing sticks like a story. When you say, “Let me tell you a story,” everyone pays attention – and they are more likely to remember your point. In this presentation, you’ll learn a simple model for effective storytelling, plus guidelines for applying the model to leadership communication. Free e-book: Storytelling is one of the tools included in 8 Communication Tools for Leaders: Become a Better Leader in Every Area of Life. Other Engaging Leader posts and videos about storytelling.